Quick as whips, sharp as swords, and as fierce as the mightiest gods, Dagur and Sleuther have stormed into the archipelago! These two are always ready for any danger that may come their way, no matter how great the risk. These two are an unstoppable team with a shared spirit that is as untamable as the seas! While it may be difficult to believe now, Dagur and Sleuther were not always a pair. In fact, before the two met, Sleuther was once held in captivity by the Dragon Hunters and forced to fight other dragons for the entertainment of humans. His life as the fighting ring’s champion came to a halt when Hiccup and Toothless were captured by the Dragon Hunters and the latter was forced to battle Sleuther. Although the then-undefeated Triple Stryke was eventually overpowered by his rival, Toothless understood that Sleuther was there by force and spared him. 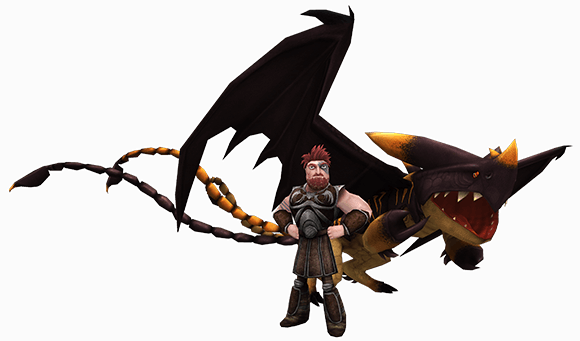 Later, he and Hiccup successfully freed Sleuther, who returned with them to Dragon’s Edge. At first, the Dragon Riders had difficulty training Sleuther, who was not used to being treated with compassion. However, it was Astrid who realized that Triple Strykes respond best to clicking sounds similar to the ones they make before striking. This was done by taking Stormfly’s discarded spines and clicking them together in order to get close to Sleuther. By using this method to establish trust between Sleuther and humans, he became less aggressive towards the Dragon Riders. Dagur and Sleuther first came into contact when the Triple Stryke was cornered by some Dragon Hunters. Dagur and Shattermaster flew to his rescue, but when Shattermaster was hurt, Dagur had no choice but to enlist the help of Sleuther while the Gronckle was getting treated for his injuries. Together, the two cut through the skies and helped take down the fiendish Dragon Hunters as a team for the first time. Since then the two are rarely seen far apart. They both share a passion for excitement and a desire for danger. 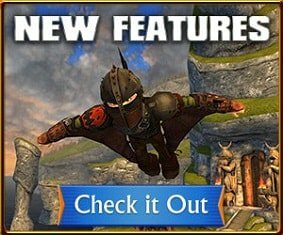 Young Vikings can find these fearless fighters at Dragon’s Edge, where they are always on the lookout for new adventures. 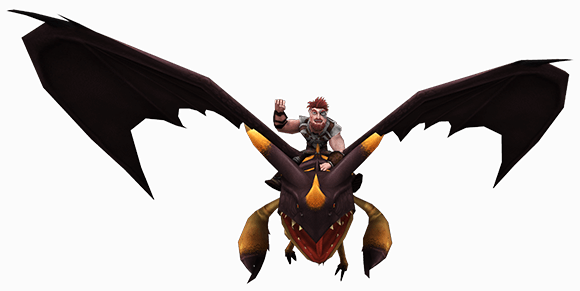 They’re always excited to go on adventures with students from the School of Dragons and may even enlist your help when a rampaging Triple Stryke wreaks havoc on Dragon’s Edge. From wrangling hostile dragons to perilous pirate queens, Dagur and Sleuther are always the first to throw themselves into danger. If you’re ready for thrills and risks, hop onto your dragon and take to the skies alongside these fierce friends! I know you’ve been away these past few days, but I’m sure you’ve heard of the archipelago’s newest arrivals. Or, well, the newest old arrivals. 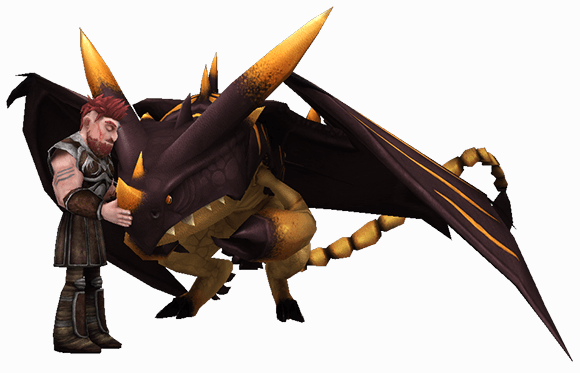 Everyone knows Dagur and his Triple Stryke, Sleuther, are not strangers to the people of Berk, but it’s only recently that they’ve become a fixture on Dragon’s Edge. After seeing the wild gleam in their eyes and hearing of their adventures and the glory of the battlefield, it makes me wish that I had fought beside them. It’s clear that their bond helps them move in battle as one unstoppable force. I’d love to witness them in action one day. I hope you’ll get to meet both of them someday, because you’d be fascinated with Dagur’s tales and Sleuther’s sheer might.